Argan Oil, 100% Pure & Organic – Unroasted, Cold Pressed, Extra Virgin and Filtered. Produced and Bottled in Morocco. 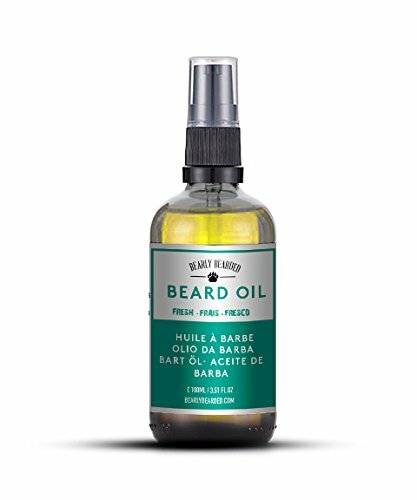 Ideal for Hair, Beard, Skin, Nails and Body. 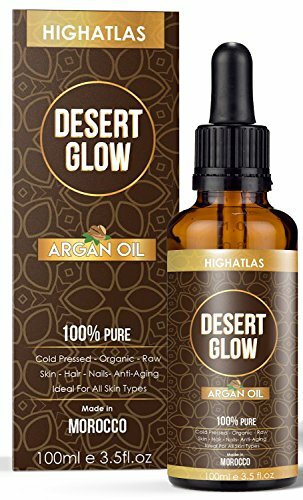 HighAtlas’ Desert Glow, Argan oil, is 100% Pure, Organic, Cold-Pressed and Bottled in a UV Ray Resistant Amber Glass Bottle in Southern Morocco. Restores the Skins Natural Glow with its Deep Moisturising Capabilities. Its Versatility Makes it Useful for Hair and Nails too. Achieve Silky, Strong Hair and Restore Nails with its Nutrient Rich, Healing Properties. Contains Natural Vitamin E, Protecting Against Premature Aging and Maintains the Skins Barrier Function, Creating Youthful Supple Skin. Omega 6 Within the Oil Helps to Reduce Skin Blemishes by Accelerating the Bodies Natural Skin Reproduction as well as Promoting Hair Growth. 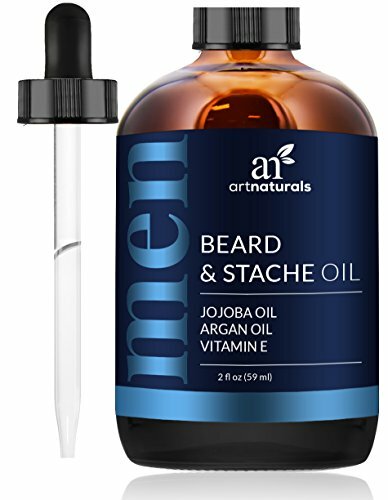 ArtNaturals Beard Oil has Organic Jojoba, Moroccan Argan and Vitamin E oils combine to condition and soften facial hair for easier, better grooming. Healing, hydrating formula eliminates itching, skin flaking beardruff, and acne. 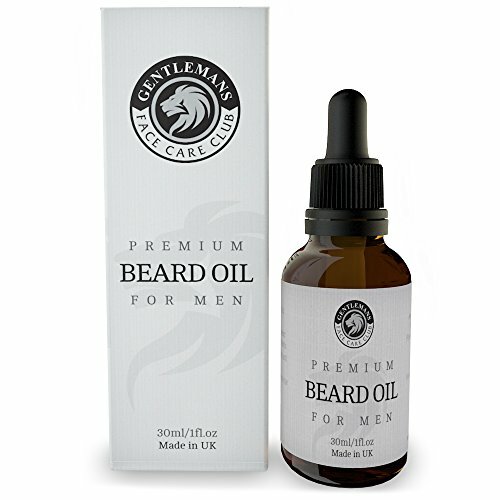 Our Beard Oils antioxidant powers cleanse pores and stimulate healthy hair growth. MOUTH WATERING SCENT: Your key to entering the “members only” Cuban underworld is a few drops away. Havana is suave and sophisticated, suited for important events and as your daily user. Its sandal and cedar base is depicted by two distinct spices: clove and cinnamon. GUARANTEED KISSABLE: Our time-tested quartet of premium base oils are guaranteed to soften your beard and give it a healthy shine. NO MORE BEARD ITCH: We understand that pain that is beard itch and beard dandruff. Our oil will relieve these issues once and for all. 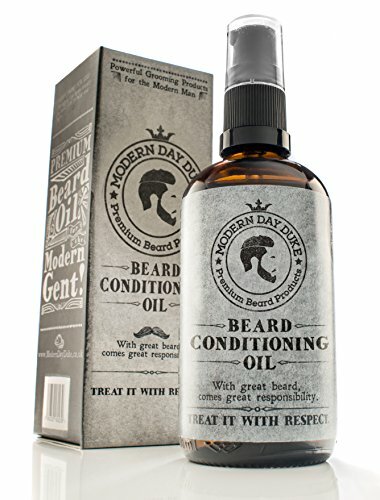 ✅ CONDITIONS AND SOFTENS YOUR SKIN AND HAIR – Soothing oils prevent irritating “beard itch” – leaving a silky soft and shiny beard – Costs you only a few pence each day! 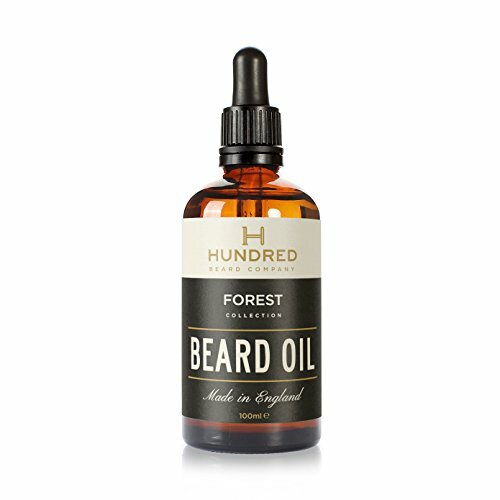 EFFORTLESS SOFT & SUPPLE BEARD- No more unruly, untamed beard. 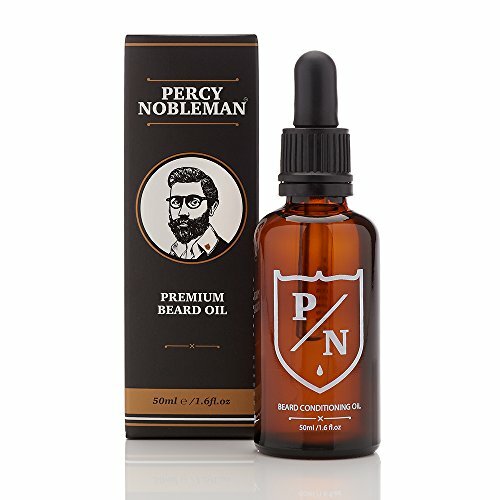 This non-greasy beard oil is specially formulated with the finest blends of natural and organic ingredients to not only soften your beard, soothe beard itch and prevent flakiness, dandruff and irritation. 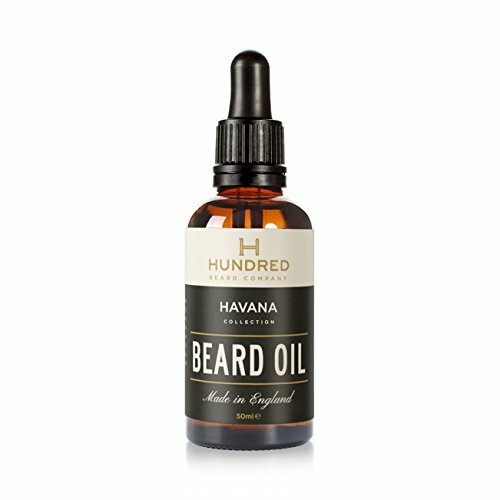 HEALTHY BEARD, HEALTHY SKIN- Our blend of natural and organic ingredients such as the finest quality Argan oil- known as nature’s ‘liquid gold’ due to its skin restoring properties. High in Vitamin E and Essential Fatty Acids to soften, soothe and moisturise. Apricot Oil- promotes softness, Avocado Oil- deeply moisturises and prevents itchiness and Macadamia Nut Oil- softens, regenerates, contains Palmitoleic Fatty Acid renowned for its anti-aging and anti-oxidant properties. FEEL GREAT. 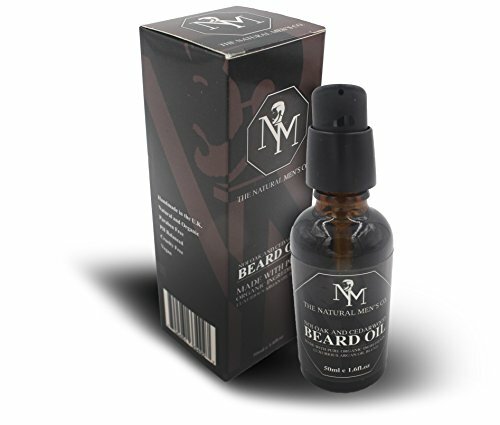 If you are starting out or just like to keep your beard short use our beard oil to keep your beard feeling beautifully soft to the touch and help with any annoying beard itch and beard dandruff. LOOK GREAT. 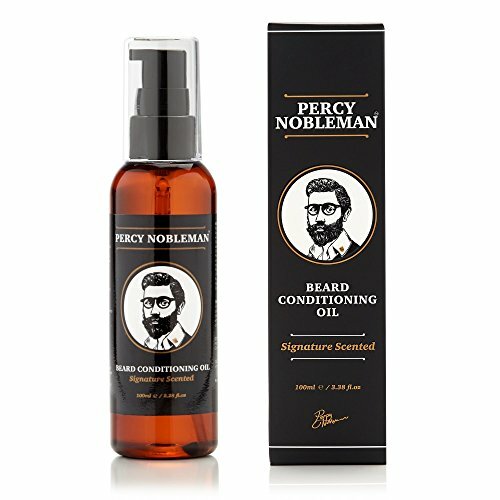 Our highest quality selection of organic oils will naturally hydrate the skin and hair without leaving a greasy residue, helping to tame and control the longer hairs and giving your beard a soft silky sheen. SMELL GREAT. Our carefully selected blend of oils with give you a modern, light, fresh fragrance with subtle citrus overtones reminiscent of a warm Mediterranean evening. 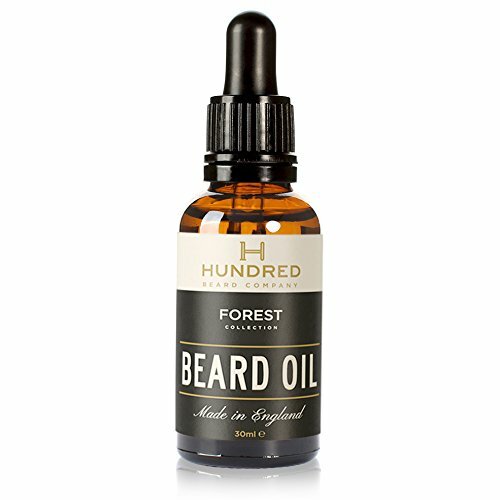 If you’re fed up of musty smelling beard oils give your face the perfect start to the day – or night. Apply the Beard Oil Everyday And Witness The Astonishing Change To Your Beard’s Feel And Texture. 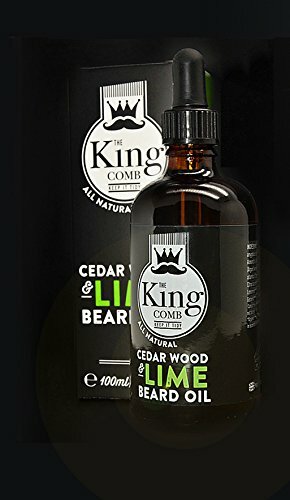 Beard oil by The King Comb Premium Beard Conditioning Oil for Beard Growth & Beard Care, Made in England, XL 100ml UK SALE!!! YOU ASKED, WE DELIVERED: Our bearded brothers can’t get enough of our best-selling Forest blend. So, what did we do? We made the bottle more than 3x bigger without doing the same to the price. Same time-tested formula – even better value. MOUTH WATERING SCENT: The Forest blend™ contains a delicious concoction of four distinct essential oils reminiscent of a virgin forest. GUARANTEED KISSABLE: Our time-tested trio of premium base oils are guaranteed to soften your beard and give it a healthy shine. MOUTH WATERING SCENT: The Forest™ blend contains a delicious concoction of three distinct essential oils reminiscent of a virgin forest.